Santa Claus is coming to town!! Come have your photo taken with the Big Guy himself, enjoy a pancake breakfast w/ fruit & ham, coffee, juice, crafts and letters to the North Pole! This event includes photo strip and digital copy to capture your holiday magic! 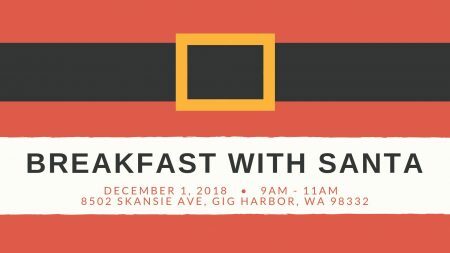 The Gig Harbor Kiwanis Club will also be providing a Pancake Breakfast. 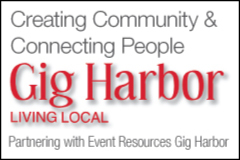 See all about what the Gig Harbor Kiwanis do in the community featured on Event Resources Gig Harbor. Children must be accompanied by paid adult. Pre-registration for all attendees will be required.